Dr Doyin Okupe, former Senior Special Assistant to former President Goodluck Jonathan told the Federal High Court, Abuja on Wednesday that Jonathan told him that he gave the sum of N400 million to Olisa Metuh, the National Publicity Secretary of Peoples Democratic Party. The funds, he said was to be used to prosecute a publicity blitz for the party ahead of the 2015 general elections. Okupe was a defence witness in the ongoing trial of criminal breach of trust, money laundering and corruption by the Economic and Financial Crimes Commission, EFCC. According to the former presidential aide, Jonathan had earlier promised to give Metuh the funds after a presentation was made to him on the publicity campaign at Aso Rock Presidential Villa. 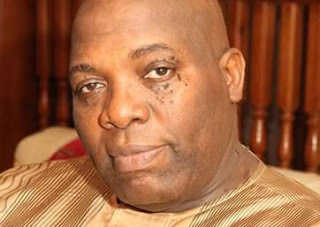 Speaking while being cross examined by Onyechi Ikpeazu, the lead defence counsel, Okupe said “Yes, around that time (November 2014) there was very deep concern in the presidency and the government about the perception of Mr President and his administration, negative perception by the Nigerian public. “This also included some perceived ineffectiveness of the administration and also a wrong perception in some parts of the country about the role of government and its actions or activities concerning the very security situation in the country then. “It was in the course of my discussion with Mr President when I also expressed my own personal concerns too that he informed me that Chief Olisah Metuh had some suggestions. “And that he (Jonathan) had instructed him to bring a proposition on what he considered needed to be done and that when this is done, he would inform me so that we can go through it together. “Shortly after that, I was invited to a meeting in the State house where Chief Metuh in company of some consultants made presentations to the president. He added that apart from the President, the Vice President, Senate President, the National Chairman of PDP, Chief Tony Anenih, former Gov Liyel Imoke of Cross River State and Peter Obi of Anambra State were also at the meeting. Okupe continues his evidence: “The President comes in. After the usual exchange of pleasantries, Mr President gave a short briefing in line with what I said earlier. “He then asked Olisah and his consultant to make their presentation which they did. After the presentation, there were comments from those who attended the meeting to add or improve in certain areas where they felt was important. “In closing, the presentation was approved for action and the President said Mr. Metuh will be given part of the money that was in budget for the execution of the project. We all left. On how he knew if Metuh was indeed given the money he was promised by former President, Metuh said: “Yes, I know from two sources. First was the President himself who told me that he had instructed that Chief Metuh be mobilised. And that was during breakfast with Mr President one morning. He told me that he had instructed that Chief Metuh be mobilised with N400 million. “The following day, very early in the morning, I got a call from Chief Metuh who told me that he has received N400 million from the President. He added that consequent upon the receipt of the money, Metuh set up a very large committee of various people, former editors, resource persons in line with media, publicity, image management who he said did quite substantial amount of work.